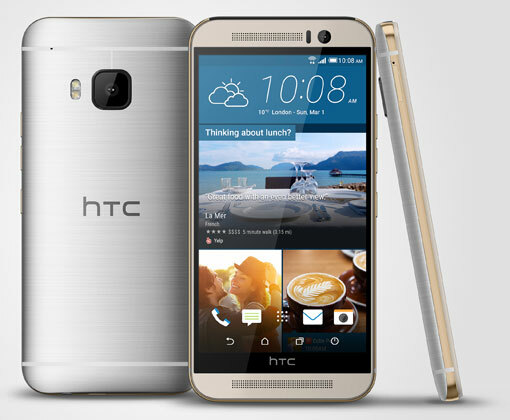 Amid the usual pomp and CEO bombast, HTC today announced its third-generation HTC One smartphone, the M9, at the Mobile World Congress in Barcelona. In addition, the company unveiled its first fitness band, the HTC Grip, designed in conjunction with Under Armour, and the HTC re Vive virtual reality headset, which will be available by the end of the year. HTC's new flagship smartphone appears to be primarily a cosmetic upgrade of last year's M8, with three major technological upgrades: the M9 rear camera has been upgraded from the company's 4 MP "Ultra Pixel" sensor to a more traditional 20 MP imager, will run on Qualcomm's latest 64-bit, octa-core Snapdragon 810 processor and will include 3 GB of RAM rather than the usual 2 so more apps can run simultaneously. The front camera remains a wide angle (26.8mm) 4 MP UltraPixel imager. 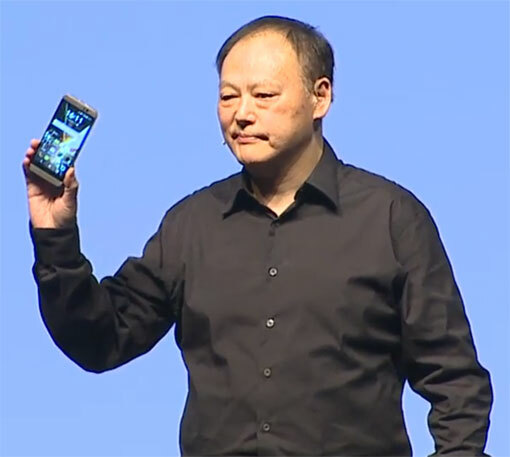 Like the HTC One M8, the M9 will include a 5-inch 1920 x 1080p display now protected by Gorilla Glass 4, and 32 GB of user memory plus an SD card slot instead of 16 and 32 GB versions. It measures 144.6 x 69.7 x 9.61 mm and weighs in at 157g – a smidge shorter and a tad thicker than the M8 (146.4 x 70.6 x 9.4 mm) and a hair lighter (160g). M9 boosts its battery to 2840 mAh (M8: 2600 mAh), rated to last up to 25.4 hours for chatting, and representing around a 5-hour impro' vement over the M8. No movie-viewing or music-listening battery life rating was released. 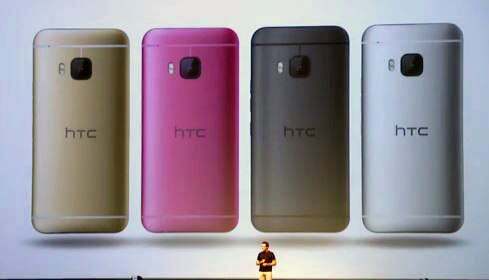 Running Android 5.0 Lollipop, the M9 will also include the next-generation version of the HTC's operating system, Sense 7, which enables the phone to know where it is and adapt accordingly. For instance, the phone will know if it's at home or work, and will automatically adjust its home screen most relevant and app array to that location. You'll also be able to snap a photo to create a new theme – wallpaper, app icons and the M9's entire color palette will change to match. Surprisingly, the M9 will continue to be the only smartphone with dual front-facing stereo speakers with HTC Boom Sound, one of the phone's big selling points for those who like to chat with the phone away from their ears. The M9 adds Dolby Stereo surround sound to enhance movie viewing/listening. While pricing was not officially announced, Best Buy accidentally listed the phone at $649.99 on its Web site before the HTC press announcement. To accessorize the M9, HTC announced an upgraded Dot Case, which can now be customized with streaming text or scrawled highly-pixelized graphics along with the usual time and alert display to let you know what's going on without activating the phone itself.